1. You rewrite the endings of movies in your head to create the outcome you want. For example, did you know that Jack and Rose both survived the sinking Titanic, married, and lived happily ever after? Or that Captain Miller didn’t die saving Private Ryan. In my version, Ryan is the grandfather of the doctor who will discover the cure for cancer. It was a little harder to rewrite Perfect Storm since I’ve been told it was a true story, but I managed to do it. I figure if politicians can rewrite history to suit them, I can rewrite it to suit me. All survived. 2. You keep lists of names of people and places you think may be interesting names in a story someday. Do you suppose Steele Mattingly, Cincinnati Zoo’s former veterinarian, would be opposed to me using his name in a spy novel? I’ll put him in a safe house on Crooked Tree Road in Burnt Corn, Alabama. He’ll be there protecting a woman named Diamond Lee Kinsington. I kid you not. 3. You write scenarios to explain strange behavior. Suppose you go to a garage sale where a woman is selling all of her husband’s sports equipment for next to nothing. Before you leave, you’ve created a scenario in your mind about what may have happened to him –or what is about to happen between them. Of course while you’re there you score a Calloway pitching wedge for a dollar. It’s a golf club. A good golf club. 4. You have scribbled notes everywhere of ideas you want to preserve. You have a purse or pocketful of notes on napkins, envelopes, paper plates, church bulletins, and on the back of an important form your husband needs for work. Hey, he’s the one who left it on the kitchen table. 5. You speak with dialogue tags. If you can answer yes to any of these questions, you may be a writer. Or just a person I'd like to know. Recently, I was part of an online discussion group focused on editing. Particularly, several new writers were asking about the importance and cost of hiring a professional editor for their work. A few were wondering where to find an editor and the moderator threw a monkey wrench into their thinking when she informed them there are different kinds of editors. Not all editors do the same job. And just because someone “edits” it may not mean he attends to spelling, grammar, and format. Then again, maybe that’s all he looks at and your story is falling apart. I tried to think of a metaphor to share with the group. I tried to find a solid illustration that would convince them they need to use editors at different stages of their work for different purposes. I couldn’t think of anything. Then I went camping. Stay with me here. I hope this strengthens your writing as well as your respect for editors. Last year, my husband and I bought a truck camper. Having camped all over the United States with our daughters in a five-person tent, the truck camper seemed a bit luxurious. At first. It was small and cramped, but served us well for the summer season of camping. Moreover, we got a taste for what a camper had to offer. A real bed we didn’t have to blow up first. A refrigerator and stove. Air conditioning and a toilet. Heaven on earth. Okay, maybe I exaggerate a bit. But it was nice for the two of us. It was tough when we took our grandchildren along, though. They really didn’t have room to stretch out on the table-made-into-a bed. 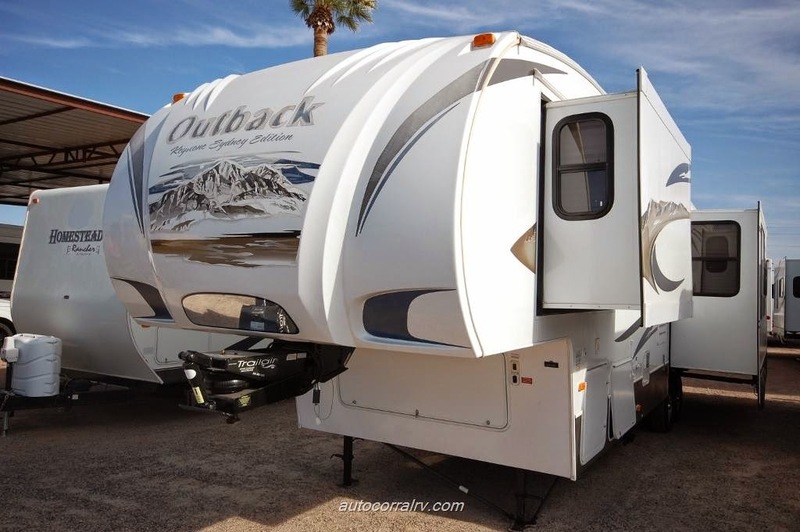 So this year we traded our little slide in camper for a fifth wheel camper. If you don’t know anything about campers, trust me that this sweet 35’ house on wheels is beautiful. We could live in it. Maybe. It has a bedroom. It has a bathroom—with a door! 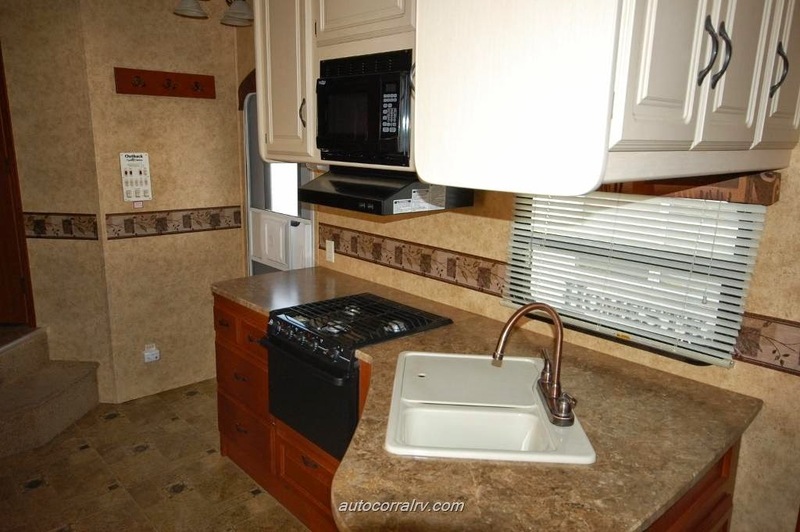 It has a kitchen with a microwave. It has a living room with an entertainment center. Compared to the truck camper, it feels like Buckingham Palace. We bought it used. The dealership where we made the purchase gave it a detailed cleaning. They assured us they were checking all systems. They assigned one person to take care of the outside and another to check the inside. As consumers, we did a walk-thru inspection. It looked great. We noticed a few minor problems. We made a list. The dealership fixed them. They were small sorts of things like a missing latch on a cabinet door or the window shade didn’t pull down correctly. Minor, really. The dealer fixed them all and declared the unit ready for pick-up. Yay! We hitched the camper to our truck bed and headed to Mammoth Cave, Kentucky to spend a few days with our family. When we arrived, we began setting up camp. I was outside when Tom attached the hose and turned on the water. “Do you hear water running inside?” he asked. He went in the camper with me on his heels. I looked to the kitchen sink and under it. No water. He headed up the steps to the bathroom. Water was gushing like a geyser from the toilet area. It began traveling down the steps and seeped out from under the bathroom wall into the entry. Tom flew out of the camper and turned off the water. We sopped up the mess with every towel we had on hand. Closer inspection revealed a major part was missing from the toilet so that water wasn’t going into the toilet at all, just into our bathroom. And hall. And steps. And entry. And down the heating vent. We called our dealer. We took a picture and sent it to the head of the maintenance department. We then let go of our frustrations and camped. This was, by the way, a major accomplishment. You see, I’m a glass half-full kind of girl married to a glass half-empty kind of man. Together, we’re a good team. He keeps me grounded and I keep him hopeful. So what does this have to do with editors? Several people interacted with the camper to make sure it was ready. The “copy editor” wasn’t concerned with the content or making sure all the systems worked together. He made sure we had new tires and everything on the outside –the presentation of the unit—worked. As consumers and the ones most interested in the camper, we only looked at the surface elements. Unfortunately, the “developmental editor” –the one who needed to make sure the whole thing worked together didn’t quite do his job. 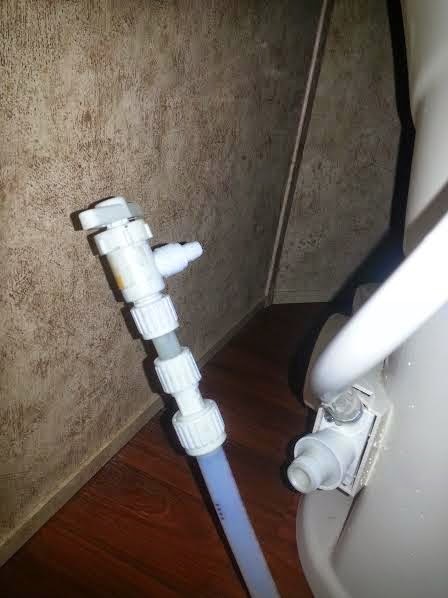 And a really good editor will say, “Hey, if this is going to work, shouldn’t there be a hose connecting the water to this toilet?” Well…you get my drift. And allow me this one pun: Good editors are like good plumbers. They keep everything flowing nicely. The dealership, by the way, took care of everything. We’re packed and ready to go camping again. ANNOUCEMENT: Tune in to Christian Devotions Speak Up Radio at 6:30, Tuesday, July 29. Host Scott McCausey will be interviewing yours truly live. Here is the link- http://www.christiandevotionsspeakup.com/ Prayers welcomed! P.S. Need an editor who has it ALL? Check out A Little Red, Inc.
Molly Tipton and her husband are looking forward to retirement but Molly's life suddenly spirals out of control when her oldest daughter is involved in a terrible accident. An icy road and a sharp turn leave one woman dead, another clinging to life. While two families grieve, details emerge that reveal Molly’s daughter was driving under the influence. As she prepares her daughter for the prospect of a vehicular homicide lawsuit, Molly discovers her oldest child is not the only one injured and under attack for past mistakes. If it is true time heals all wounds, what are we to do with our scars? Molly turned her attention to the floor of the upstairs clothes closet. Only the shoes were left. Molly sat down and picked up a pair of Laney’s high-heeled shoes and hugged them to her chest. Her eyes burned with unshed tears. She pulled her mouth tight. 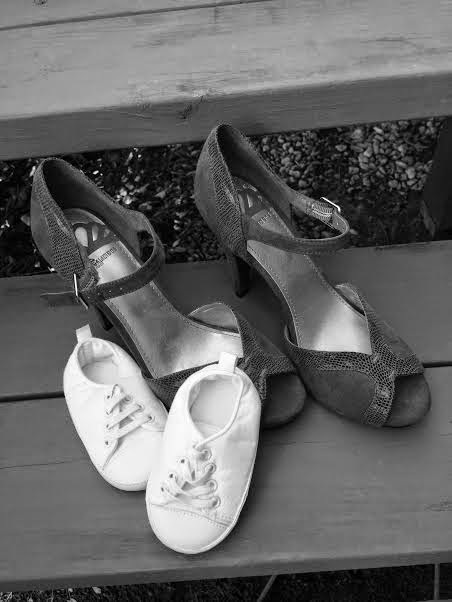 A picture of Laney clomping around in Molly’s high heels when she was a toddler came unbidden to her mind. The blue heels she and Laney had dyed to match her prom dress tugged at her memory. The white satin heels Laney chose for her wedding. Shoes tell the story of our lives. Molly closed her eyes for a moment. “No hitting, “ she instructed her grandchildren. “I don’t even want to know what happened. Just no hitting.” She pushed herself up from the bedroom floor. Both children started talking at the same time. Molly turned. “Stop it!” She bent down to within inches of their startled faces and spoke through clenched teeth, her voice even and firm. “I do not want to know what happened. I only want you to stop yelling at each other and remember this one rule: No hitting.” With that she turned and headed down the stairs, leaving a startled Hunter and Ellie standing in the middle of the empty room. Downstairs, Molly went into the bathroom and closed the door. She shook. Never before had she been that close to losing her temper with Hunter and Ellie. Would they hate her for it? Hands on the sink’s edge, Molly leaned heavily on the new granite surface. A pang of self-pity knifed her heart. Hadn’t she already raised her own children? Slowly raising her head, Molly studied her image in the mirror. What was it she had been thinking about before the children started fighting? It was the shoes. Shoes tell the story of our lives. Images of Laney’s first steps in the high top stiff white shoes of a toddler flashed before her. Laney’s first ballet slippers. There were new school shoes each September, white patent leathers every year for Easter, and black patent leathers near Christmas. It was the shoes triggering her anger, not the children. The shoes were a reminder of all Laney had been and had become. The shoes she would never wear again to a dance or to take a run in the park. The shoes were to blame.